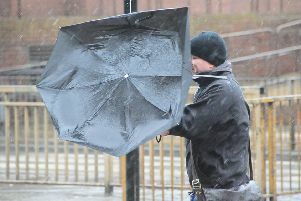 The Met Office has named the second storm of the season which will bring high winds and torrential rain to Hertfordshire. A frontal zone will bring heavy rain throughout today (Thursday) before the winds strengthen later in the day bringing gale force winds through this evening and overnight into Friday, and possibly severe gales in a few places. Storm Bronagh will bring wind gusts of 45-50 mph quite widely around exposed coasts and in a few spots inland, while some gusts of 60-65 mph are possible, particularly overnight into Friday across eastern England. 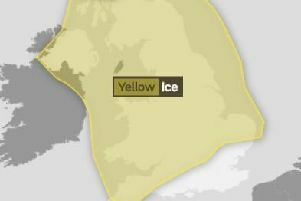 The strong winds will be accompanied by short-lived outbreaks of squally heavy rain in places. There is the possibility of damage to buildings, such as tiles blown from roofs or through falling trees and branches, as well as a danger to life. Keep up to date with the weather warnings via our forecast pages, mobile app or social media as there may be up dates throughout the day.